Now that I am in my mid 30's (yikes!) I notice wrinkles all the time. It probably doesn't help that in my teens and 20's I never moisturized my skin. 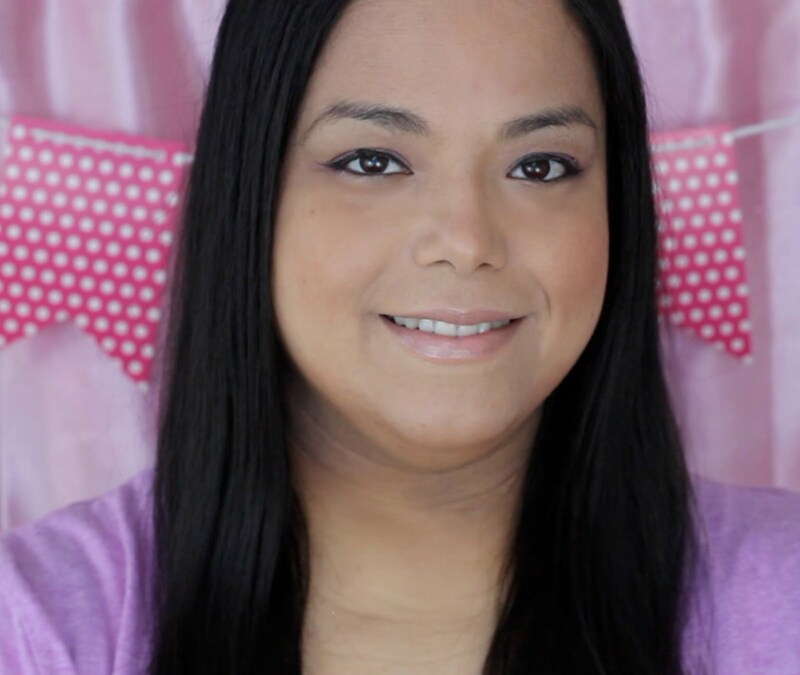 Then being busy with work, then married life, then having a baby, I never took the time out to take care of my skin. I just started becoming interested in face creams and beauty products so I am always on the lookout for something that can help reverse my lack of previous skin care. When I heard that Anavita Wrinkle Cream could work in as little as 12 weeks I had to try it. 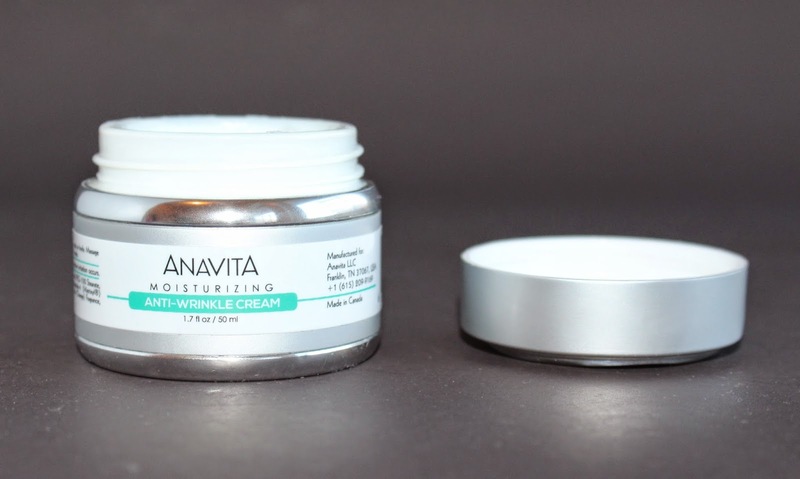 The Anavita Wrinkle Cream is said to reduce the look of fine lines and deep wrinkles while firming and replenishing your skin to make it look noticeably younger. All you have to do is massage on the cream after cleansing your skin in the morning and again at night. The Anavita Wrinkle Cream has a unique formula that stimulates the production of collagen and rebuilds the cellular matrix of the skin using three clinically proven ingredients - a super-absorbent form of hyaluronic acid, Argireline (5%), and Matrixyl - a combination that makes this anti-wrinkle cream for face and neck extraordinarily effective. This first thing I noticed about the cream is how thick it was. All it took was a little scoop to go over my entire face. After massaging it into my skin it didn't feel heavy or oily. I love that you can use it morning, night and as a makeup base. The cream is paraben free, sulfate free, phthalate free and not tested on animals. After using it for a few weeks I noticed a softness to my skin. My forehead wrinkles were slightly less pronounced and the wrinkles under my eyes looked smoother. I can't wait to see what my skin looks like after 12 weeks of use. Click on the link to try the Anavita Wrinkle Cream and take the 12 week challenge! 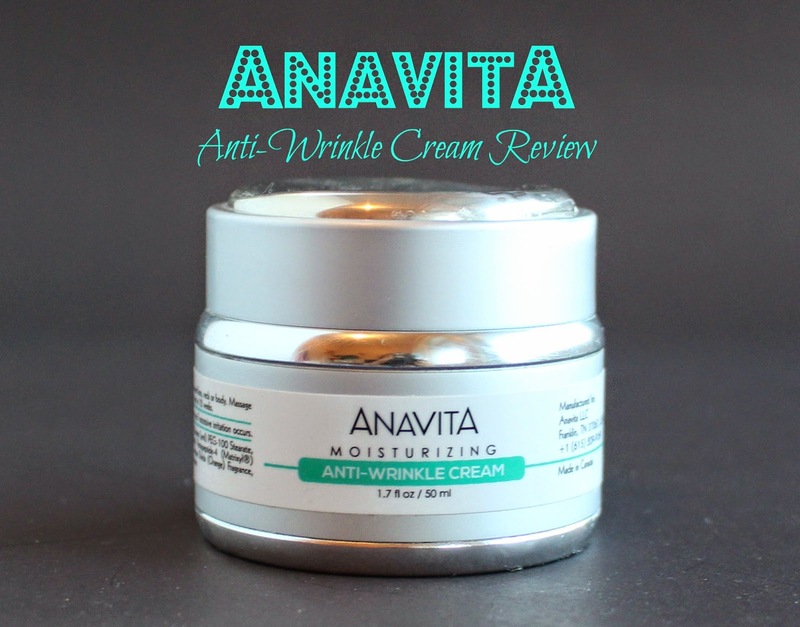 Do you want to win a jar of the Anavita Wrinkle Cream? Comment below and I will randomly pick a winner from one of the comments on 1/31/2015! Good Luck! This sounds like an interesting product. I've never heard of this brand before. Can't wait to see your results! I have some crows feet (is that what they are called??) that I would LOVE to get rid of. I need to try this. Knock on wood--I'm 64 and no real noticeable wrinkles--guess I'm genetically blessed because I have never used face creams either! My Mom (I am adopted), on the other hand, has lots of wrinkles -she is 92 and is always looking for something to help. I will tell her about this!! I'm getting older and need products like this, thank you! Sounds interesting, thanks for the review! Your 30's!?! You are a young thing still. I am turning 44 this month and I am still searching for the miracle wrinkle cream. I will give this one a try. I like that it is not tested on animals too. Ya know I'm 33 and I can see the laugh lines forming and wrinkle creams are totally in my next cosmetic purchase. This looks like great wrinkle cream. I will have to check it out more! I have laugh wrinkles! 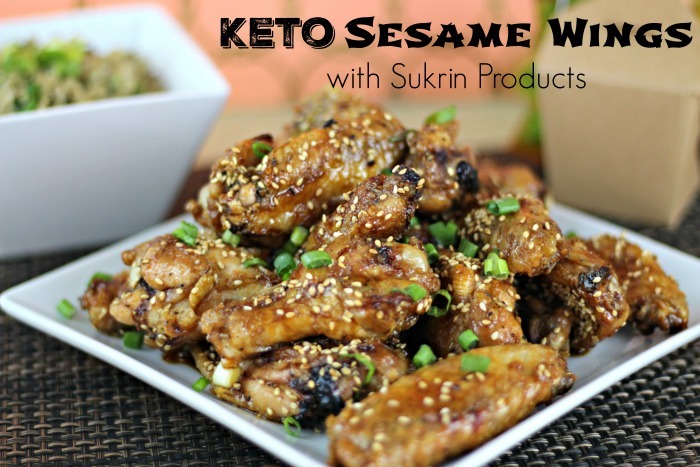 I will have to try this! I am already starting to see wrinkles! I have been looking for a good face cream. Thanks for the review. I will have to check it out! I feel like I need to start using something other than my body lotion - I am starting to notice my face is droopier than usual and I feel like my skin needs to be firmer! This looks like a good one...I'm always on the lookout for good skin creams! I always love learning about new paraben free products! It's nice that you've noticed a softness. I could stand to use some wrinkle cream by my eyes.